Dr Wei Shi is Reader in Law in Bangor University Law School, the United Kingdom. Having spent five years working as a judge in a court in Shandong Provence in the late 1980s following the completion of his undergraduate studies, he returned to academia and obtained his Masters degree in law in Renmin University of China, Beijing. He then took up a lectureship at the Law School of Shandong University, and taught there until 2000. Under the auspice of the EU-China Higher Education Cooperation Programme, he worked as a Visiting Fellow at the Lauterpacht Centre for International Law from 2000 to 2001 before embarking on his PhD in International Law at St John’s College, University of Cambridge. His PhD addresses the multifaceted issues of intellectual property rights enforcement in the world trading system from EU-China perspective. Wei is currently carying out varieties of administrative roles. Wei has heavily been involved in, and significantly contributed to, the establishment of the Confucius Institute in Bangor University, the first of this kind in the world with legal focus. Our partnership university regarding the Confucius Institute is the China University of Political Science and Law, one of the leading universities in China. Wei also supervises research students. He has supervised 14 PhD students for completion (10 as primary supervisor) and is currently supervising 4 PhD students (as primary supervisor). He has established himself as a leading scholar at the forefront of thefield of international intellectual property law, which lies in the intersection of intellectual property and the global trading system. He has published widely within the above areas and has a number of other works in progress. 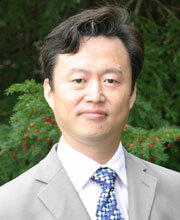 His work has appeared in the leading international peer reviewed journals, such as American Business Law Journal, University of Pennsylvania Journal of International Law, Wisconsin International Law Journal, North Carolina Journal of International Law & Commercial Regulation, and Connecticut Journal of International Law. Shi, W 2016, 'Retrieving the Missing Ladder: Excavating Flexibility of the TRIPs Mechanism', Connecticut Journal of International Law, vol. 31, no. 2, pp. 217-255. Shi, W & Jiang, L 2014, 'Space for Flexibilitiy: Lessons from the European Union Harmonisation Model in Human Embryonic Stem Cell Regulation ', Intellectual Property Forum , no. 97, pp. 63-69. Globalization and indigenization: legal transplant of a universal TRIPS regime in a multicultural world. Shi, W & Weatherley, R 2008, 'Harmony or Coercion? China-EU Trade Dispute Involving Intellectual Property Enforcement', Wisconsin International Law Journal, vol. 25, no. 3, pp. 439-490. Shi, W 2008, 'Incurable or Remediable? Clues to Undoing the Gordian Knot Tied by Intellectual Property Enforcement in China', Journal of International Law, vol. 30, no. 2, pp. 541-584. Shi, W 2008, Intellectual Property in the Global Trading System: EU-China Perspective. Springer. Shi, W 2008, 'The paradox of Confucian determinism: tracking the root causes of intellectual property rights problem in China', John Marshall Review of Intellectual Property Law, vol. 7, no. 3, pp. 454-468. Shi, W 2008, 'Incurable or Remediable - Clues to Undoing the Gordian Knot Tied by Intellectual Property Rights Enforcement in China', University of Pennsylvania Journal of International Law, vol. 30, no. 2, pp. 541. Cultural Perplexity in Intellectual Property: Is Stealing a Book an Elegant Offense? Shi, W 2006, 'Cultural Perplexity in Intellectual Property: Is Stealing a Book an Elegant Offense? ', North Carolina Journal of International Law and Commercial Regulation, vol. 32, no. 1, pp. 1-48.